Periodical—The Primitive Expounder” is published every other Thursday, in Alphadelphia, on a medium sheet, octavo form, at $1.00 per annum in advance, by Revs. R. Thornton, and J. Billings, Editors. New Society.—Convis, 24 ms., 1. Total, 27. 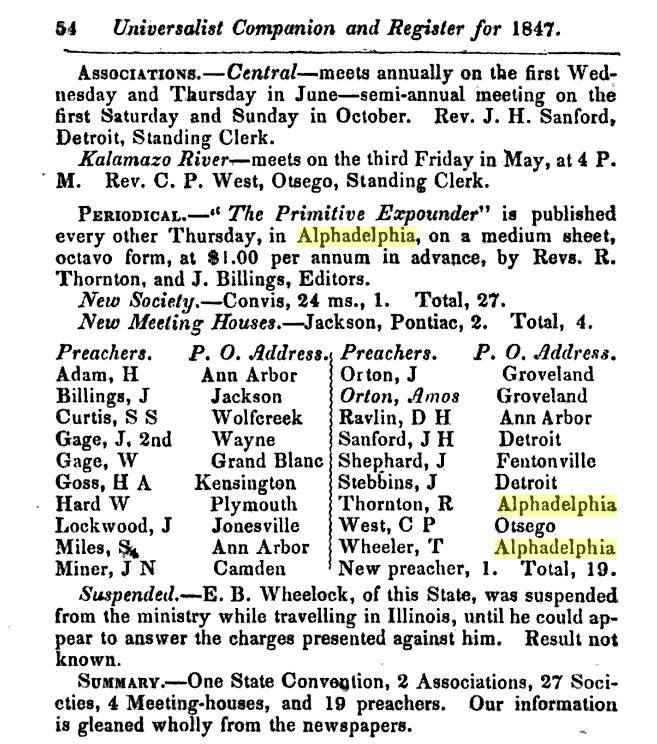 New Meeting Houses.—Jackson, Pontiac, 2. Total, 4. New preacher, 1. Total, 19.